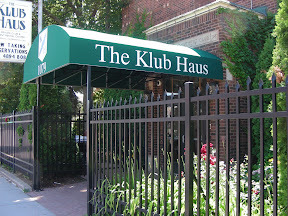 The Klub Haus is a privately held facility that serves many nonprofit organizations free of charge. Our goal is to provide a welcoming venue for the community at large. Many of our members include charitable organizations, youth groups, festival organizers and community groups. This building was lovingly renovated in an old European style. The solid copper ceiling, artwork and glassware were imported from Europe. Extensive use of fine oak can be seen everywhere in the dining and lower area. The ballroom boasts an original burl maple dance floor with matching trim. The outside paved brick patio and gardens replicate old world European patios and annually win garden awards. This venue has been designed to be functional for a variety of events. We have pride in our total flexibility and service. Nowhere else could you find such a unique venue as the Klub Haus. 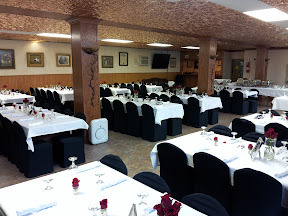 We are a one of a kind event location. This completely renovated facility is truly a gem in the city. Thank you for considering the Klub Haus.